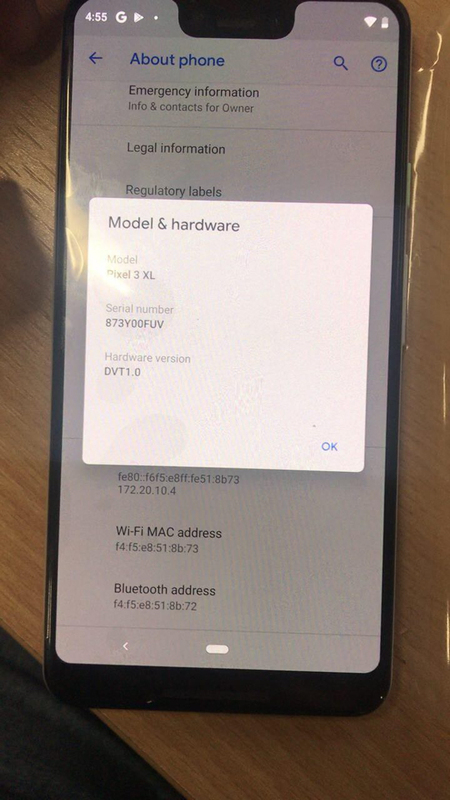 Hey, it’s Pixel 3 XL ultra leak day! 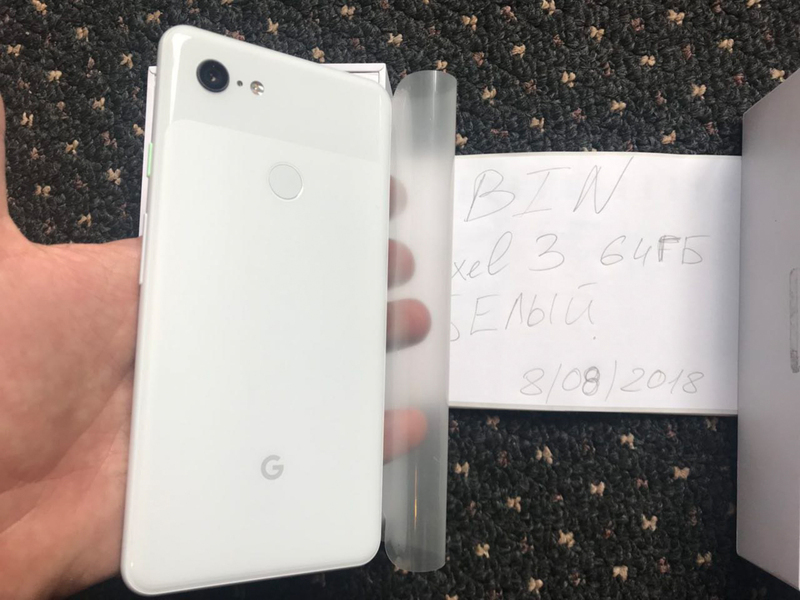 Thanks to a Ukranian tech blogger, we just got our first Pixel 3 XL unboxing and it sure does reveal a whole heck of a lot of details. 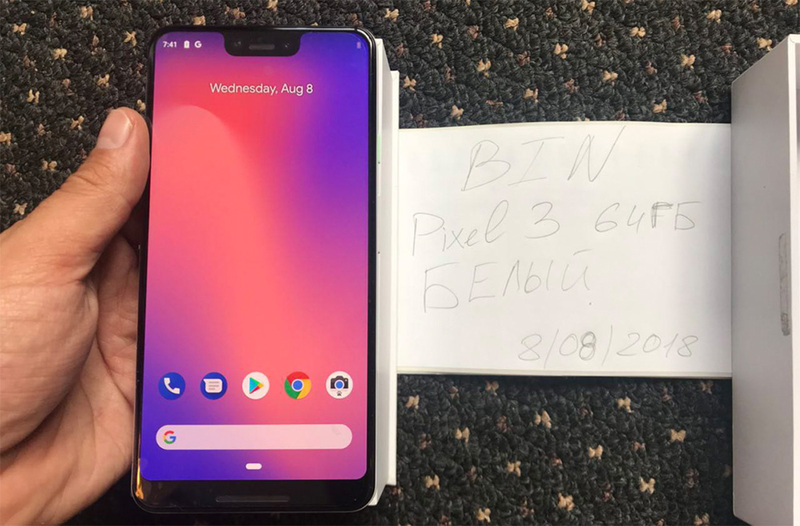 Keep in mind that we are still 2 months away from Google announcing this phone, so some things could change…maybe…probably not much. 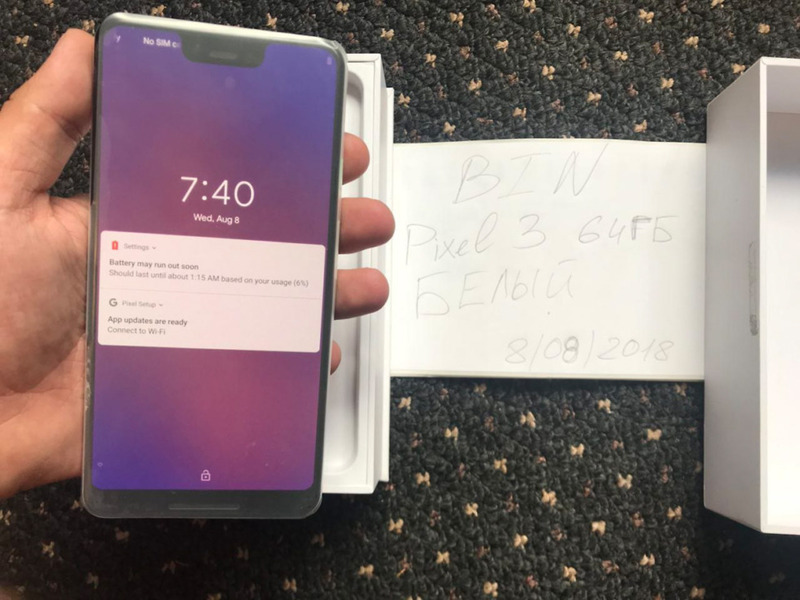 The unboxing was uploaded through a Telegram channel and it shows off still images of the white Pixel 3 XL, as well as the a video of the phone in hand. This post has it all, my friends. Ready? That unboxing shows what looks to be mostly final retail packaging of the Pixel 3 XL. It certainly shows packaging we are familiar with, but a couple of the guides were blank. 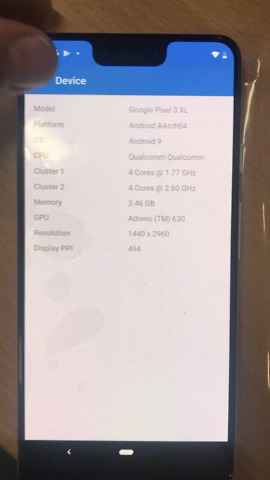 And that makes some sense, since we really are two months from Google even announcing this phone. 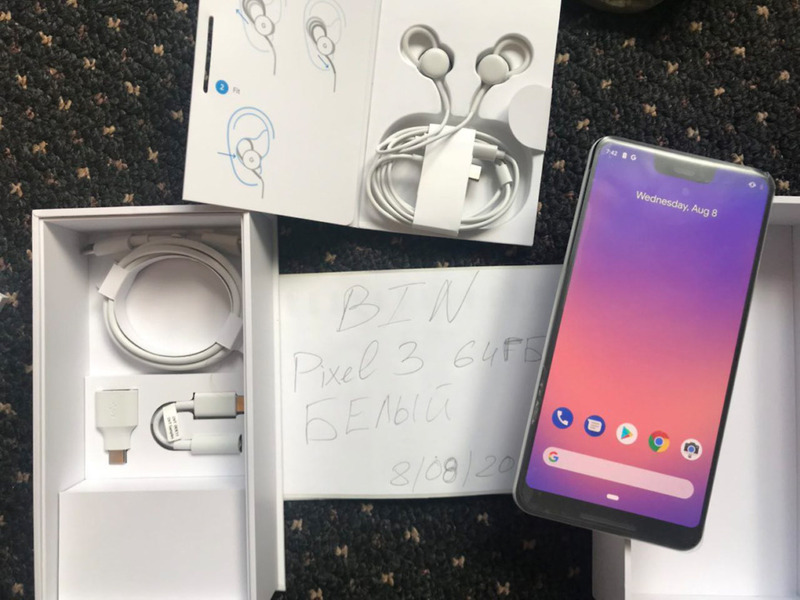 However, that unboxing revealed one huge addition to Pixel 3 XL purchases – included USB-C earbuds! 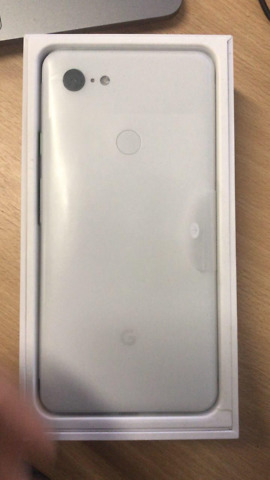 Google should have included USB-C earbuds with last year’s Pixel 2 and Pixel 2 XL after killing the headphone jack, but if this leak is the real deal, we might be getting them this year. Outside of that revelation, nothing else is necessarily new from the video. The USB-C rapid charger is in there, as is the USB-A-to-C adapter for transferring info from one phone to the next. The rest of the pictures this person uploaded reveal more, though. As far as some newness goes, take a look at these shots. Here, we not only have a look at the white back and the name “Pixel 3 XL,” but there are some specs showing, like 4GB RAM, confirmation of an Adreno 630 GPU on board (which means Snapdragon 845), and a display resolution of 2960×1440 (494ppi). Yes, there is the big ol’ notch too. And finally, here are a couple of shots of the phone in hand. 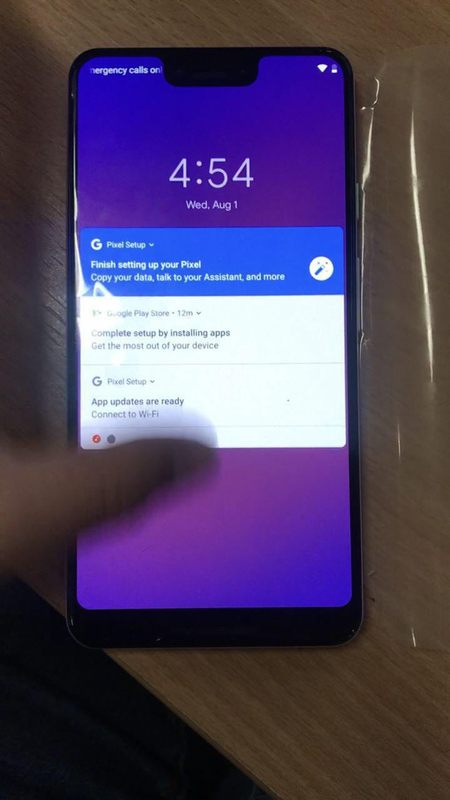 The rear picture shows off that full-glass back with shiny and matte finishes. It also gives some perspective on how big it might be. Oh, and take a look at that green power button!